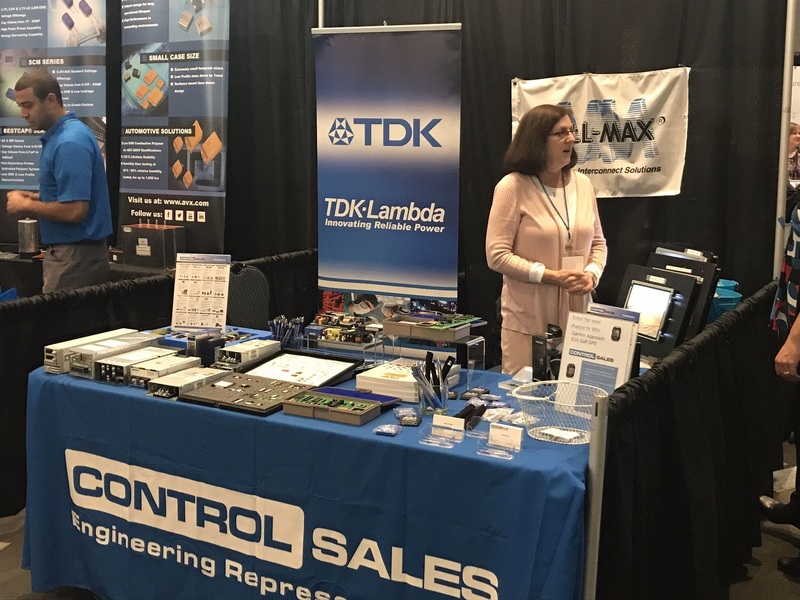 Last week Control Sales, Mill-Max, Sharp Displays and TDK Lambda were proud exhibitors and sponsors at the Arrow Chicago Tech Expo 2018 held in Hoffman Estates, IL. The Arrow Tech Expo hosted over 25 technical supplier seminars and multiple supplier booths showcasing select product offerings. Event organizers were pleased with customer attendance and valuable supplier seminars and exhibitions. Sharp Microelectronics of the Americas (SMA) is a premier manufacturer of industrial and memory LCDs with a legacy of leading-edge, performance-based products. Mill-Max manufactures high reliability precision-machined interconnect components. TDK Lambda is a leader in the design and manufacture of a wide range of AC-DC power supplies and DC-DC converters.